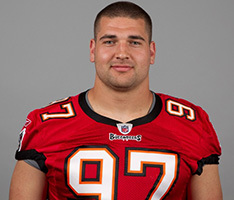 Erik Lorig has been an NFL fullback since 2010 when he was drafted by Tampa Bay Buccaneers. He played there for four seasons before signing a four-year contract with the New Orleans Saints in 2014. As a two-way player at Palos Verdes Peninsula High School, Lorig earned Cal-Hi Sports, Parade Magazine, PrepStar and SuperPrep All-America honors as a senior. He was a two-time Cal High Sports all-state selection and a major college recruit. Lorig was ranked the seventh-best tight-end prospect in the nation by Rivals.com. He accepted a full scholarship to Stanford because of his football and academic ability. Lorig played his first two seasons at tight-end, and changed to defensive end during his junior and senior seasons. He earned All-Pac-10 Academic Honors in 2008 and 2009 before turning professional.